The dramatic turnaround at Pershing General Hospital (PGH), located in Lovelock, Nevada, began with a top-to-bottom facility assessment by hospital administration of unprofitable service lines and a comprehensive review of community health needs. In 2011, a financial audit revealed a net loss of over $100,000 with only three days cash on hand. Following the financial turnaround initiatives, by December 2013, the hospital netted $1 million with 62 days of cash on hand. This financial turnaround not only removed the audit going concern, it also eliminated discussion of a possible takeover of the facility by the state of Nevada. 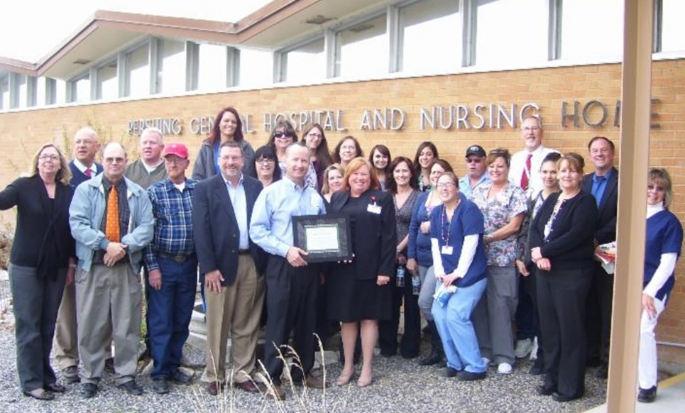 Patty Bianchi, Chief Executive Officer, stated, "Pershing General Hospital is committed to financial stability, which is key to sustaining access to health services for the community, including 24-7 emergency care for the residents of Pershing County."